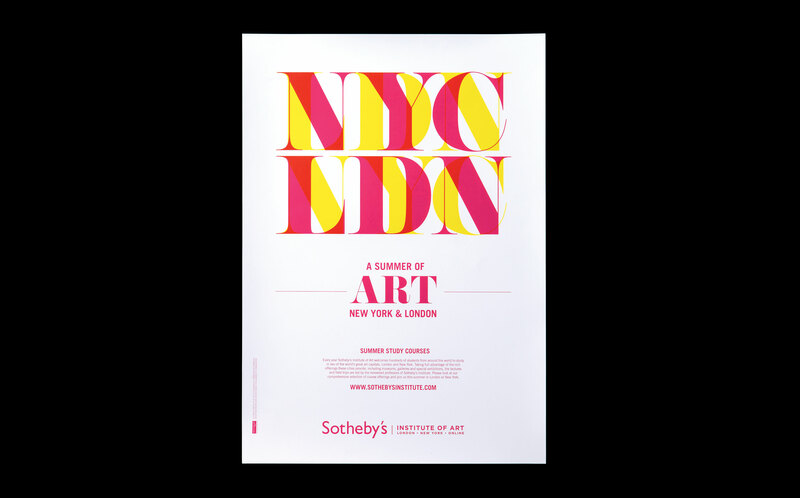 Produced to promote Sotheby's Institute of Art's summer study courses in New York and London. 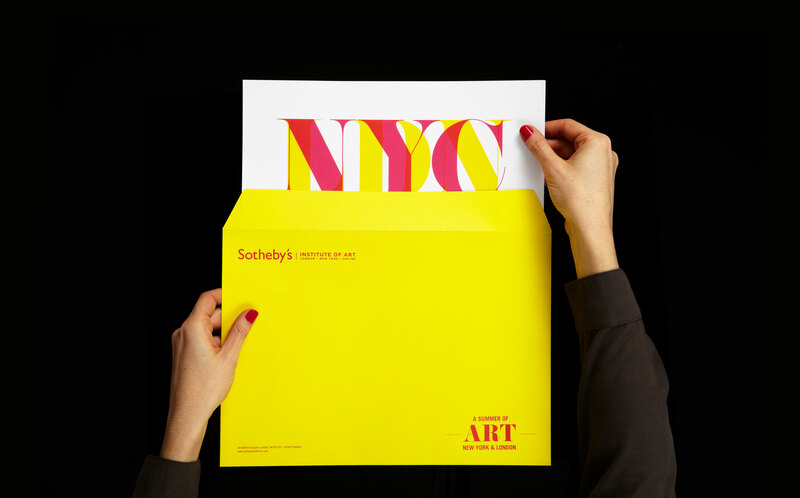 The constraints of image use in the art industry helped lead us to this simple, typographically led, graphic design solution. The use of overlaid/interchanged type emphasises the fact that these courses are available in two of the world's most important art capitals.